How does OptiNest's nesting optimisation work? OptiNest is a true shape nesting package that can nest any shape onto any material. 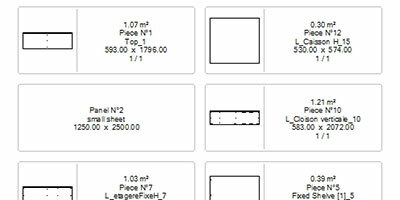 It takes the cut list of parts and determines the best way to cut these parts from a panel or sheet material using a nesting CNC machine. In the case of a woodwork project, the nesting map that is generated also includes the machining details for each part, so your CNC can cut the part and machine each part in full, in one operation. This makes nesting a very efficient way to build custom woodwork projects. We have more information here comparing nesting with point to point CNC manufacture and cutting optimisation. OptiNest also prints labels of each part, including bar codes if required. These labels are printed per sheet and ordered to the parts placement on the sheet. Labels are fully configurable with references, part name, dimensions, edging requirements, extra machine files and so on. You will also get a report confirming the cost and material savings of each optimisation, even the amount of off cuts that you can re-integrate into your stock. As long as the CAM software that comes with your CNC accepts DXF files, it will be able to accept OptiNest's nesting results. The CAM software will then convert this information into the machine code to run your router. 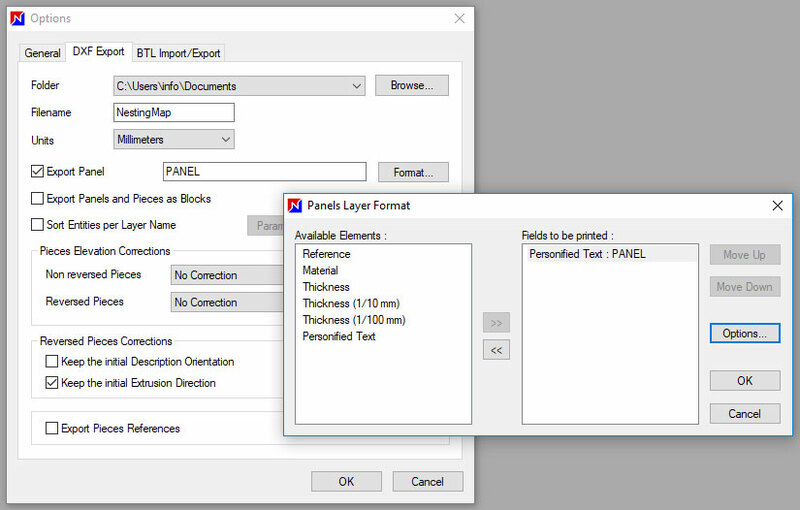 The layered part by part DXF files contain all the instructions to cut the parts from your panel material and the tool paths for all machining. Pretty much all CAM packages accept DXF files. Please contact us for confirmation if you require it. We can also arrange an online screen sharing session to look at your set up and confirm that OptiNest will work with your production process. OptiNest can optimise any number of parts of any shape onto sheet material of any shape. 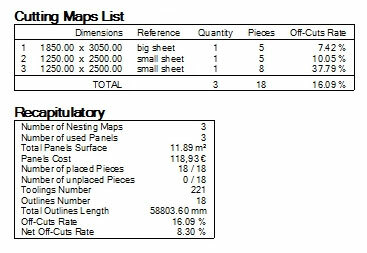 The list of parts to be cut can be imported from DXF drawing files, a spreadsheet or even shapes that you can draw directly in OptiNest. 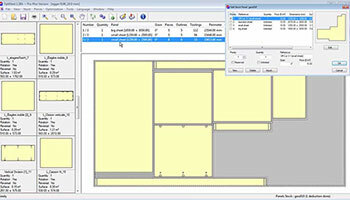 OptiNest also integrates seamlessly with our design software Polyboard and StairDesigner. Please watch this video to see how quick it is to take a furniture design from Polyboard and nest in OptiNest. You can download our trial version of OptiNest but you won't be able to see full details of the optimisation, only the nesting map. Below you can download a complete optimisation. 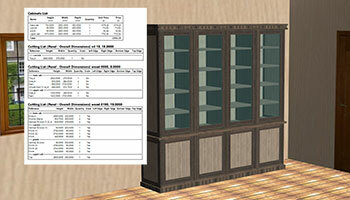 The download include a nesting map and report, plus DXF files to load into your CAM software for testing. You won't be able to run your machine until you have configured your CAM software to add the tool paths and specifications for your CNC. Please contact us if you would like to discuss how to include OptiNest in your manufacturing process. 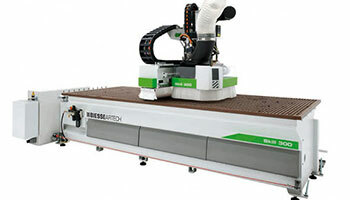 We can look at the best option for you and test it on your CNC machine.